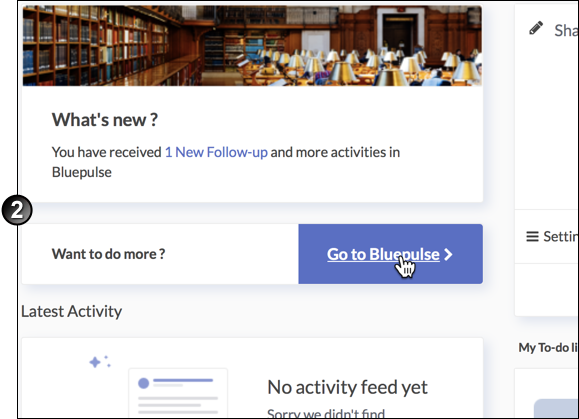 Bluepulse is a feedback tool which allows students to engage in a two-way confidential conversation with their instructors and answer questions posted by the instructor. Students can give feedback anonymously about the course and any areas that they think need improvement. Click the Bluepulse link from your course home page. This should take you to the Bluepulse hub page. On the Bluepulse hub page, click Go to Bluepulse to go to your Bluepulse home page. This is the general home page for all your courses. To view a specific course, you can search for it using the Search bar at the top or by clicking on Central Pulse. In the Central pulse page, click on Subjects and click View on the course you wish to view. The home page for that course will appear. The Activity Feed shows a summary of all your course activities from newest to oldest. You can view shared thoughts from your instructors, questions, question results and follow up with your instructor. You can view notifications about all the latest activity by clicking on the notifications icon in the top-right hand corner . To view all your notifications, click Show All. You can change settings such as email and notification settings by clicking on the settings icon. To-do list - You can add the pulse to your to-do list by clicking on . Useful - Click the Useful icon to let others know that you found the activity useful for your learning. You can see how many others have found the activity useful through the number displayed. Follow-ups - By clicking on the Follow-up icon, you can communicate with your instructor about any questions about the course or activity. Results - You can view how other users have responded to the question by clicking on the Question results icon . Central Pulse is an area in Bluepulse where you can view a general summary of activities and statistics of your courses. The instructions below explain how to view a summary of courses on Central Pulse. On the home page, click on Central Pulse to access it. To view a general summary of a specific course, search for it using the search bar. Engagement level - This tells you how much activity has been happening in the course, both from students and instructors. Cold means that there is little activity. Warm means that there is some regular activity. Hot means there is plenty of regular activity on the course. As a student, you can give feedback often, answer questions and reply to follow-ups to help increase engagement levels in a course. Latest activity summary - Displays the number of questions and shared thoughts in the course. To-dos summary - Displays the number of to-do list items in the course. Link to View the course. Questions are asked by instructors to gauge your understanding of the course content. Questions have a time limit given at the bottom. You can only answer the question when it is active. There are a few different types of questions. The question types are described below. Choice question - Lets you select one or more answers to a question. A description of how many choices you can select will be given before the question. Scale question - Gives a range of possible answers to choose from. Rate and comment question - Requires you to select a value from 1 to 5 that best describes your view on the question. You can also add an optional comment. Open-ended question - Lets you enter a free-form answer to the question. You can mark a question as useful if you think it is important. When the instructor has shared question results, you can view the question results. Anonymity is always maintained in question results. The Give Feedback option allows you to share your experiences, suggestions and challenges with your instructors. Instructions for giving feedback to your instructors are provided below. Click on the Give feedback icon in the top right hand corner of your Bluepulse home page. Enter your feedback in the feedback text box. Select the course to which you wish to send feedback. The feedback will automatically be sent anonymously. Follow ups allow you to have a conversation with your instructor about a question or difficulty you have about the course. Follow-ups are always started by instructors and are always one-on-one, so no-one except for you and the instructor can view the conversation. Follow-ups are confidential by default, but you can reveal you identity to the instructor if you wish to do so. The instructions below describe how to send follow-ups. Go to a feedback item which has a follow-up started by an instructor that you want to respond to and click on Follow-ups. Write a reply in the text field. Click on the Confidential status. Select Share my identity and confirm Yes. Open Moodle on your mobile device and click on the link of the Bluepulse activity in your course. Click the link to open the Bluepulse app. Install the app through Google play or the App store. 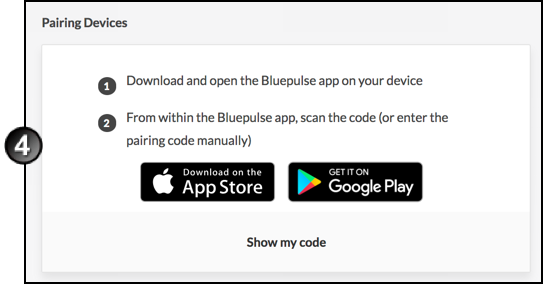 On the Bluepulse website, navigate to Profile Settings and click on Show my code. On the Bluepulse app, enter this code. The Bluepulse app is now configured. 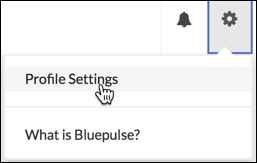 The menu at the bottom of the app can be used to access several features of Bluepulse. The activity feed is displayed when you open the Mobile app. Here you can view the latest activity in all your courses. The To Do tab displays all the new activities that are in your To-do list and the To-do activities that you have recently completed. In the Subjects tab, you can search for and view general information about your Bluepulse courses. The Notifications tab displays notifications for all the latest activity in your courses. In the Settings tab, you can change settings such as email and notification settings.